Without a traditional tub and shower curtain, modern shower enclosures are an essential addition to your remodeled bathroom. Sorci Construction Services installs shower enclosures in a variety of styles, allowing you to find the perfect addition to your bathroom design. Call us today at 1-844-385-9585 to get a free estimate on all our bathroom remodeling services! Ready to get started on your shower remodel? Our experienced bathroom remodeling professionals will install your new enclosure in accordance with your space and needs. 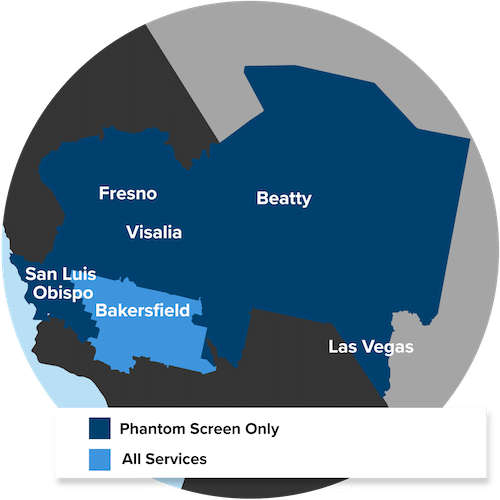 We serve Bakersfield, CA towns and cities, providing custom shower enclosures and walk-in shower solutions. Contact Sorci Construction Services today - get a free online quote for all of our bathroom renovation and shower remodel services, and learn more about all our bathroom remodeling services.